Bob is our Managing Director and has been with C-Tech since 2013. Bob has an educational and working background in chemistry and new product development. 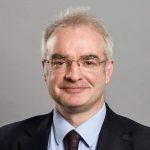 Bob worked previously worked for Unilever in various technical roles in R&D and has extensive experience in the creation and commercialisation of new technology. John is our Sales Director and has been with C-Tech since 2015. John has worked in Business Development and Sales roles in ICI and Zeneca prior to joining a start-up company, Memjet based in Sydney in 2001. John has had over 20 years’ experience in technical sales with companies around the world. Rob is our Technical Director. He is a metallurgist and materials scientist with a broad background in technology development. Rob has widespread expertise in the processing of materials and the design development and implementation of novel systems. 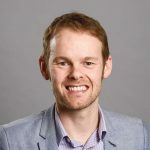 Rob joined C-Tech in 2010 and is mainly involved in the management and technical implementation of a wide range of innovative projects within the various sectors we serve. Liz is our Finance & HR Manager who has been with C-Tech since 2019. 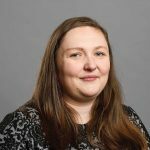 Liz has worked in Finance since 2004 and has been a Chartered Global Management Accountant since 2015. Liz has previously worked in a variety of industries including manufacturing, sales, warehouse and distribution. Edd is our Operation Manager and has been with C-Tech Innovation since 2004 and previously worked as R&D manager. 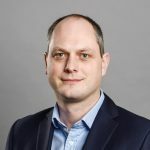 Edd has background in Chemistry and project management and has been has strong input in projects such as Relight and Illuminate looking into the use of microwaves to develop and continuous decontamination method for mercury contaminated waste streams. Edd also works as our Health & Safety Officer coordinating workshop and laboratory safety assessments and training. David is a Senior Project Manager at C-Tech Innovation. 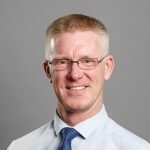 He has been with the company for 8 years following 10 years in academic research and development at Newcastle University, 5 years in chemical manufacturing, and 5 years managing large-scale industrial development projects. He has a PhD in chemical engineering and specialises in electrochemical technologies and energy generation & storage. 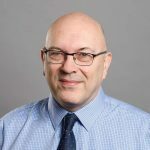 Dom worked in R&D in industry for 20 years, joining ICI in 1985 and later Zeneca Specialties, Avecia and Merck GmbH working on various projects including metal extraction and molecular electronics. Dom joined C-Tech in 2007 working on a diverse number of projects, including European Framework and H2020. Dom has a strong knowledge of chemical synthesis and project management. Recently he is involved in application of MW-Plasma to chemical and surface reactions. Member of the Institute of Materials, Minerals and Mining and the International Society of Electrochemistry. 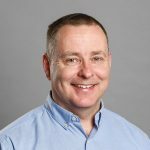 John joined C-Tech in 2001 at its inception as it spun out from EA Technology Ltd and has mainly worked in the area of electrochemical engineering. Highlights include flow battery system development (zinc – air, vanadium and soluble lead) to kW scale, developing a fully automated aluminium electroplating system at 200 litre scale using ionic liquids, pipework and vessel decontamination technology for the nuclear industry and cells for large scale electro-synthesis. He has a particular interest in system and process design. While at EA Technology, he worked on corrosion in electricity networks, induction heating systems for annealing of metal strip and electrolytic processing of stainless steel strip including large scale installations. Prior to this he worked in electronics manufacturing (PCB and microwave) and composite materials. Yvonne joined C-Tech Innovation in 2009 as a Project Manager after having worked as a synthetic chemist in the pharmaceutical industry for 8 years. She has a strong track record in managing complex multidisciplinary science and engineering research and development projects. A core area of expertise is the use of novel heating technologies and has a particular interest in developing C-Tech Innovation's continuous flow microwave chemistry capability. Clare earned a BSc. (Hons) in Chemistry from the University of St Andrews and has ten years’ industrial experience in R&D. Since joining C-Tech Innovation in 2014, she has become a senior scientist and chartered chemist who contributes to a wide range of projects but specialises in electrochemistry including development of the C-Flow product range. Natalia is a qualified Chemical Engineer and an associated member of the iChemE. She has been working at C-Tech since 2013 on wide range of projects within ohmic heating and electrochemical technologies. Tony is C-Tech Innovations Workshop Foreman, working closely with our management team his role is pivotal in ensuring the smooth running of our workshop, laboratories and coordinating the build of our projects. Tony has been part of C-Tech Innovation since 2008 and has had involvement in all engineering aspects of our projects over these years.